Filing an auto insurance claim can help pay for repairs in the event of a collision, but doing so may cause an increase in the monthly premium. 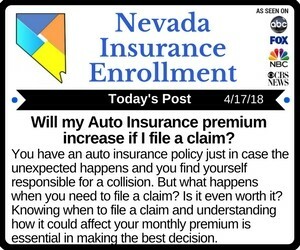 This increase can quickly offset any upfront savings and result in policyholders having a difficult time affording their auto insurance coverage. Knowing when to file a claim and when to pay for necessary repairs out of pocket can help policyholders keep their insurance premiums affordable. In order to maintain profitability while still providing affordable coverage, insurance companies must base each individual policyholder's monthly premium on how likely they are to file a claim. To do this, insurers use complex algorithms to determine how risky a driver is to insure. These algorithms factor in marital status, driving record, claims history, age, and other demographic information to determine how likely a policyholder is to file a claim. If an insurer determines that a driver is more likely to file a claim, their insurance premium will be relatively high when compared to a driver that is statistically less likely to file a claim. It is important to note that not all claims will result in an increased premium. A claim filed under comprehensive auto insurance, for example, is unlikely to have a significant impact on a policyholder's premium. Additionally, claims that are filed when the policyholder is not the at-fault party are unlikely to impact their monthly premium. Claims filed under collision coverage, on the other hand, will almost certainly affect a driver's premium. Collision claims in which the insurer pays out for medical costs result in the highest increase in monthly premiums. 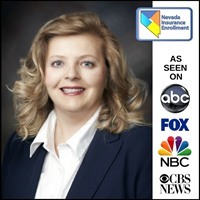 Auto insurance can help Las Vegas Nevada drivers pay for repairs after a collision. However, for minor damage, policyholders should consider paying for repairs out of pocket rather than filing through their insurance. For example, if a minor fender bender requires a $500 repair and a policyholder has a $250 deductible, they should consider covering the entire cost themselves. Filing with their insurer to pay for the $250 beyond their deductible may save money upfront, but the increase in their monthly premium will cancel out any initial savings. Sometimes it will be necessary for a driver to file a claim with their insurance company to cover an extensive repair. While this may cause an increase in their premium, their auto insurance agent can help them review their coverage and available discounts to find a way to keep their auto insurance affordable.